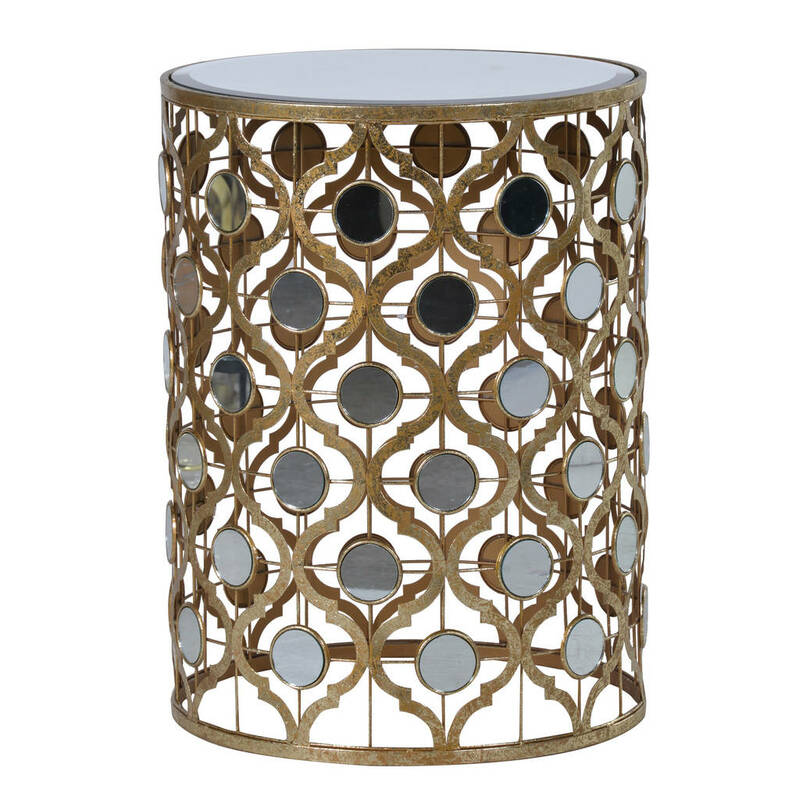 This stunning side table features a circular glass top supported on a quatrefoil design gold tube. The fabulous arabesque design to the base creates an ethereal quality that cannot fail to delight. 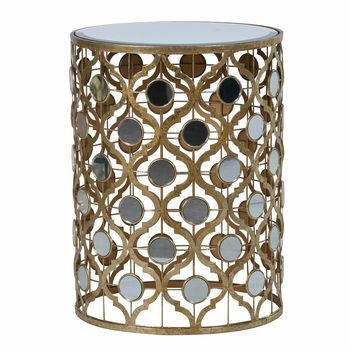 Perfect as a decorative side table or as a bedside table with a difference. ALL SCOTLAND CUSTOMERS: Additional shipping fees will apply so please contact me via the 'Ask seller a question' button before placing an order to discuss. This product is dispatched to you by Out There Interiors.